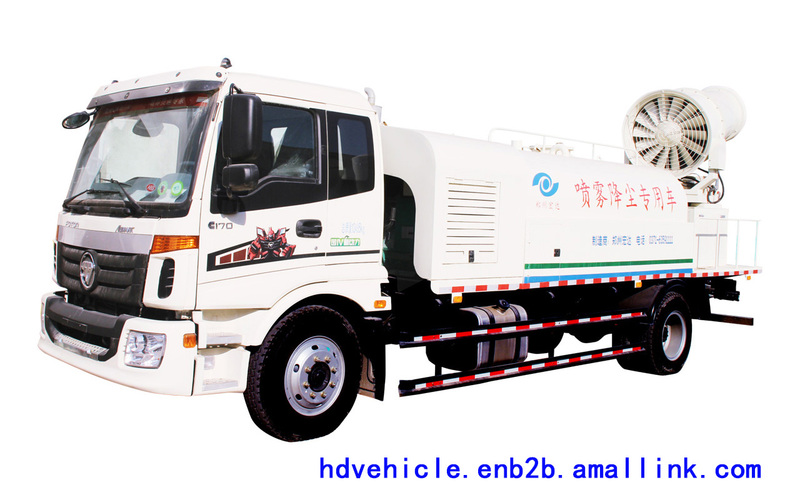 1.The water consumption compared to other dust-controlling spraying equipment (spray gun, sprinkler) less 70% ~ 90%, and the water mist spraying dust size is far more than the other dust suppression device. 2.When spray dusting the dust yard, spewing fog particles small; also come in contact with the dust of flutter, form a damp mist body to reduced the dust suppression quickly. 3.Power is flexible, that three-phase 380 v mains are available, and also can form a complete set of generator for power supply. 4.Flexible operation;safe and reliable; remote control and manual control operation, can control and adjust horizontal rotating spray angle easily.